We offer a variety of spaces for your event and meeting needs. 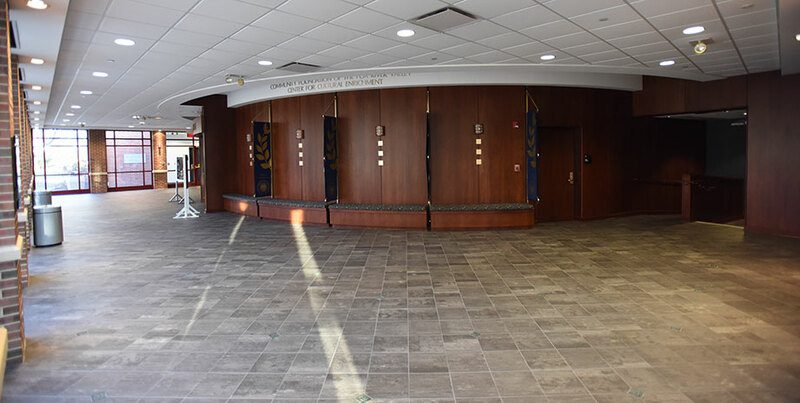 Located at the entrance way of Alumni Hall and Thornton Gymnasium, this small paved space can be utilized for social events, a small music performance, informational booths and more (weather permitting). In case of inclement weather, an indoor location should be available and reserved. 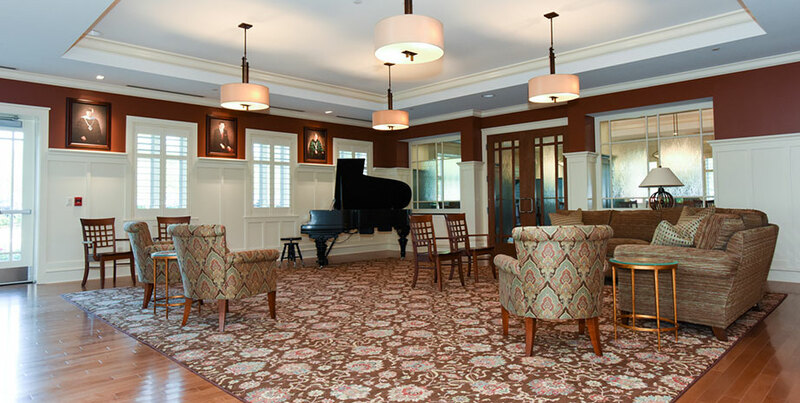 Named in honor of the Aurora College Class of 1965, this living room space, in the Hill Welcome Center, can be utilized for receptions, gatherings and discussions. The space is home to a 1901 Steinway B player piano. This space can be used in conjunction with the Welcome Center Gallery for larger events. 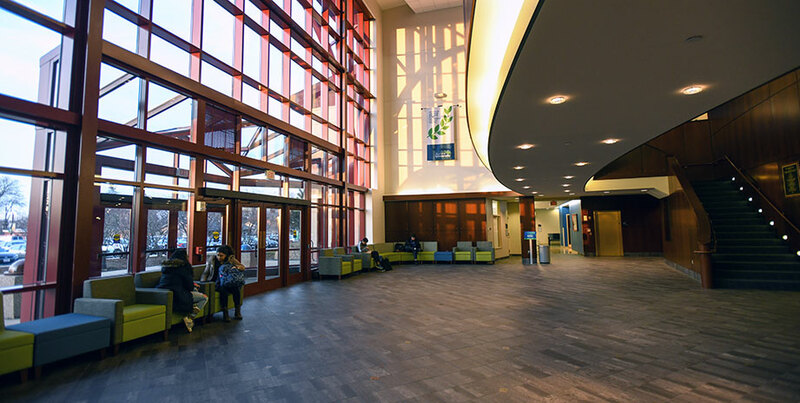 Crimi Atrium serves as the main entrance for the Institute for Collaboration. This space can be used for banquets, educational or informational fairs, post-event receptions, registration stations and more. Crimi Auditorium in the Institute for Collaboration includes 500 seats on the floor and balcony, a state-of-the-art audio/visual system, and the 1,230-pipe, custom-designed Opus 119 organ. The auditorium is named in recognition of James E. Crimi, Aurora College president from 1962 to 1973, and his wife, Pauline, both active leaders in the business and charitable life of the Aurora community. No food or drink allowed in the space. Located in Dunham Hall, this space can be used for presentations, lectures, educational and informational fairs, banquets and more. 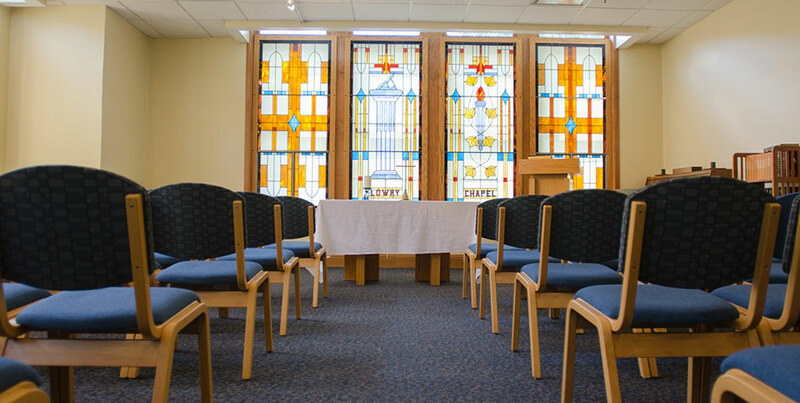 Located on the third floor of Eckhart Hall, this space can be used for religious services, and faith based events. 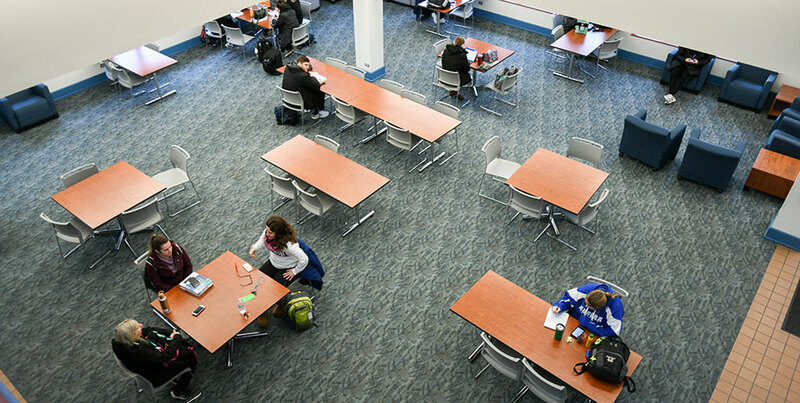 Faculty, staff, and students use this space for quiet reflection. This curved atrium space serves as the lobby for Perry Theatre. It provides a unique setting for a post-event reception, a formal meeting space or conference space. The plaza outside is also available. Perry Theatre in the Community Foundation of the Fox River Valley Center for Cultural Enrichment includes a state-of-the-art stage with impressive lighting and sound systems. The theatre, attached to Stephens Hall, can accommodate an audience of 198 and provides an intimate setting for various types of events. It is named in honor of former Aurora College Dean Stanley H. Perry who, in addition to his teaching duties, directed college plays. 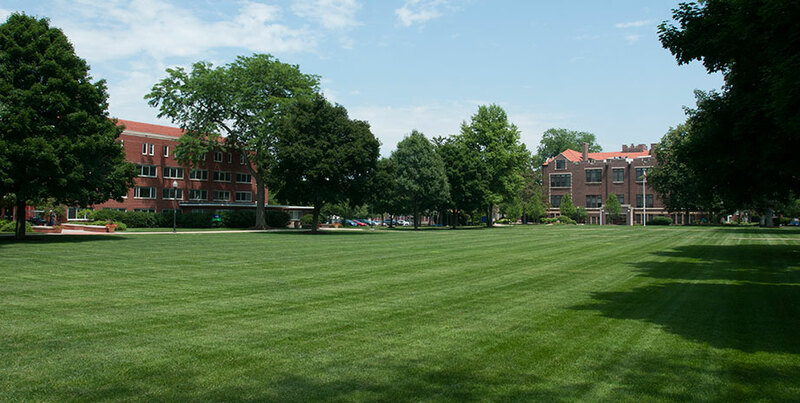 At the heart of the Aurora University campus, the Quadrangle can host a myriad of outdoor events (weather permitting). In case of inclement weather, an indoor location should be available and reserved. 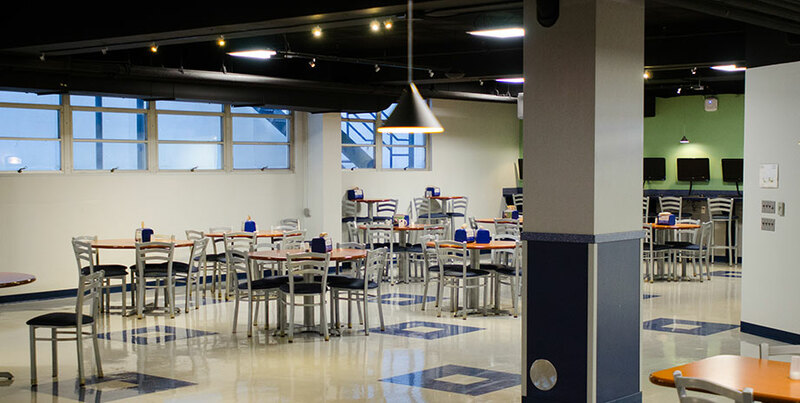 Located in the lower level of Stephens Hall, this is an ideal space for student groups to host informal social events. 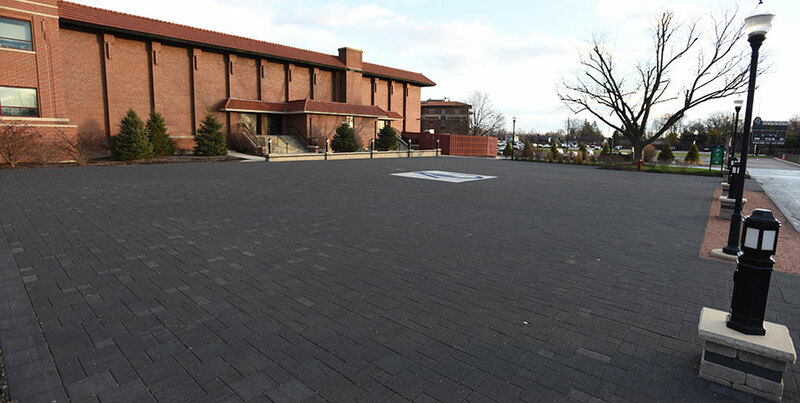 Located on the west side of Alumni Hall facing Vago Field, this bricked terrace patio is ideal for outdoor catering, social events, performances and more (weather permitting). In case of inclement weather, an indoor location should be available and reserved. 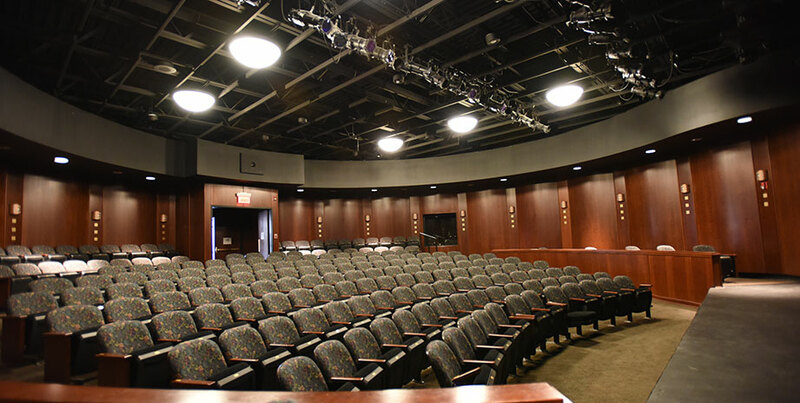 Tapper Recital Hall, located in the Hill Welcome Center, is an intimate theater space that includes state-of-the-art audio visual components. The space is named after Ethel W. Tapper, a teacher and dedicated mentor who shared her life with students, faculty, and staff at Aurora College for over three and a half decades. 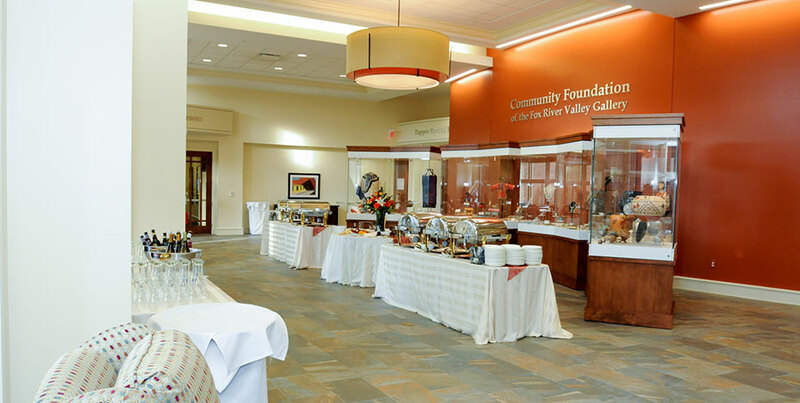 Located in the Hill Welcome Center, this room can be used for formal dining events, smaller banquet or recognition dinners, and pre- or post-event dinners. At the heart of the room is a custom made 25' x 4'4" cherry wood table. 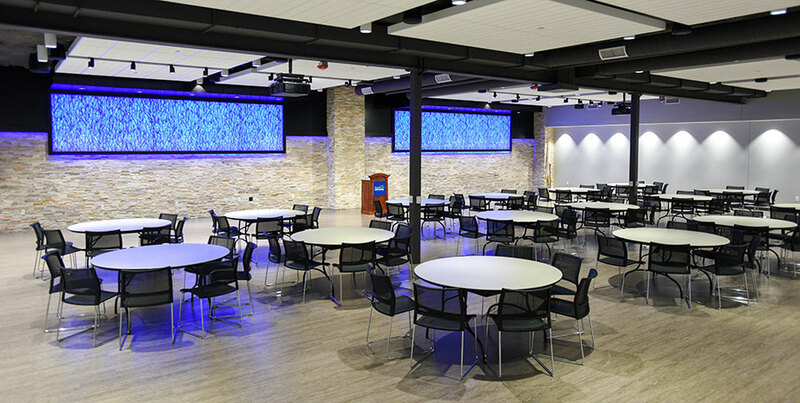 The University Banquet Hall is a multi-purpose event space that can be configured for conferences, dinners, lectures, performances, films and more. It is equipped with a state-of-the-art audio/visual system. 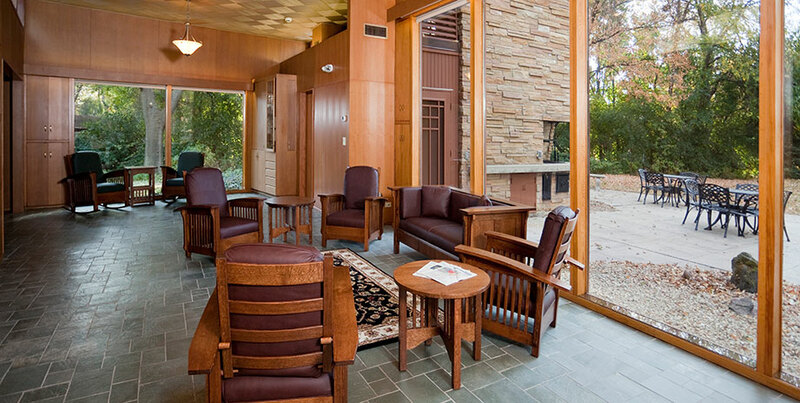 Located on the southwest corner of campus at 430 S. Evanslawn Ave., this building’s unique design and natural setting create a retreat-like space where members of the AU community contemplate and discuss issues of faith, responsibility and leadership. The space can be used for small presentations/lectures, discussion groups, small lunches/dinners, picnics and more. 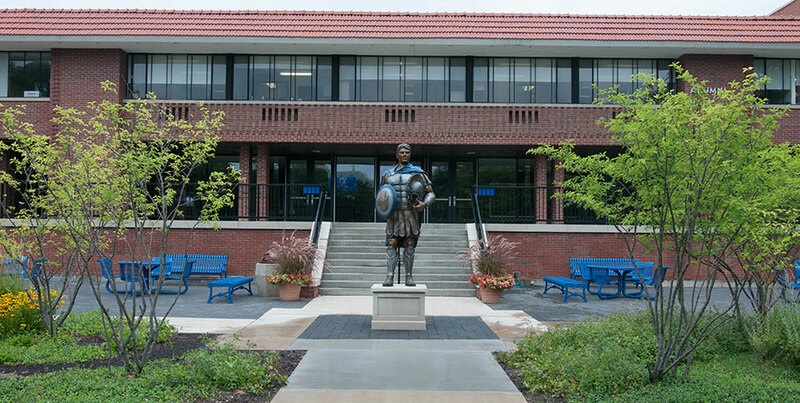 The Welcome Center Gallery, a gift from the Community Foundation of the Fox River Valley, is a space in which prospective students receive their first glimpse of Aurora University. It can also be utilized for receptions, banquets, or educational and informational fairs. 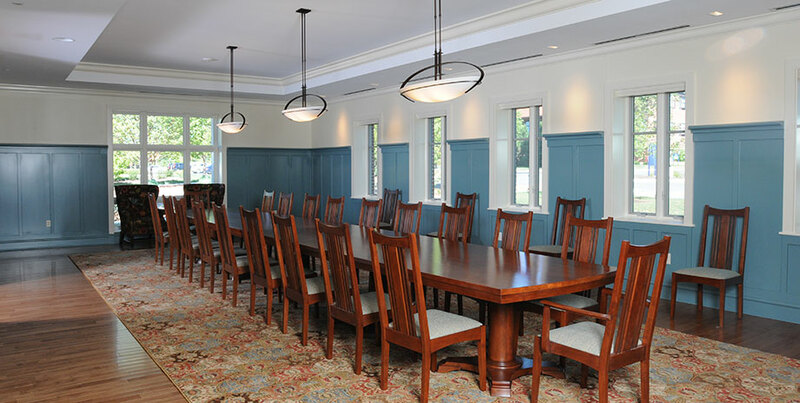 This space can be used in conjunction with the Class of 1965 Living Room for larger events.